← Thank You Anne Marie Lamonde , Gary Zourikian , Isabelle Zourikian , Cap Jens Wold !! Here it is More for Your Info concerning the GOLD of The Concentrate Oil Figue de Barbarie !! The Most PRECIOUS OIL in the WORLD !!!! Thank You Gary Zourikian ! I am Happy that You and Isabelle Enjoy it !! It is a Fact that This Concentrate From the Figue de Barbarie Seeds it is as the GOLD !!! Big Skin Improvment can be see it even the Day After !! Should be Apply to the Skin in The Evening and Morning Already YOUR SKIN SHOWS the RESULTS .. A Soft and Very Moisturised Skin , Revitalise and Wrinkles Appareance Diminish !!! Yesterday one of My Customer Give to Me a Nice Compliment on My Skin !!! I am Happy Also that We Deal Direct With the Cooperative CHABAB ZERHOUN from MEKNES MAROC !!! It is Really about the Purity of This Concentrate Oil from the Heart of The Figue de Barbarie !! It is a Chance to get this Direct from Them without suffering No Chemical Transformation and We Just Have to Remember That We are HELPING THIS PEOPLE for Who it is The Only Source of Living !!! Yes this is Also Very Important To Notice and To Stop to Like L’Oreal , Lancôme etc who Mesmerise People with Their Campagne of Publicity !!!! Soon This Company will Start to Produce Skin Care with Figue de Barbarie but cause it is the Most Efficient Ingredient on The Market , the Most PRECIOUS OIL but you may Have to Wonder what Purcent of the Oil will have in the Creams … And How the Purity will be affected !!! It is A CHANCE that I can OfFER TO YOU THIS PRECIOUS CONCENTRATE From the HEART of FIGUE before Any One Else Having !!!! Takes me Weeks of Exchanges and Nights to Be Able to Get This From SOURCE in an Unalterated Forme !!! This Concentrate Oil it is Certified Being BIO ORG 100% Natural By a A Laboratory in Germany !! Certification Available !! Thank you alot for the treatment and Hammam experience! It was a care preference!. The hammam, beyond its location, offers typical treatment that leaves skin soft and silky. With body scrubs and envellopements, shampoo or mask rhassoul shower or even the natural soap .. black soap. This soap has the peculiarity of giving a good natural without chemicals. The glove keesa helped remove dead skin and boost my circulation. Everyone shou;ld experience the rhassoul gommae effect incredible!! Environment and oriental music put me in an atmosphere of the Middle East with the aplication of argan oil with a few drops of essential oils customized for olfactory and emotional benefits like (body, mind and souls) Thank you Anca and I recommend it to everyone! 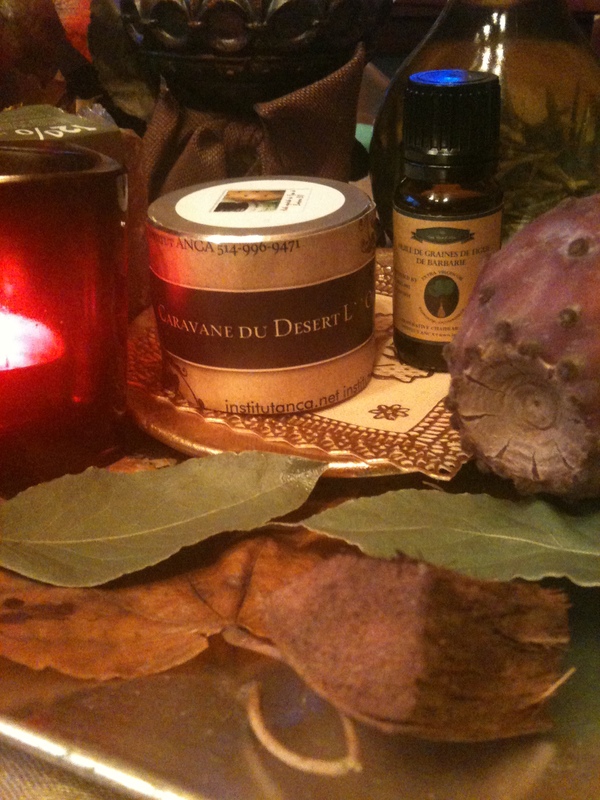 Posted by institutanca on December 1, 2012 in Bio Org Natural Cosmetics " Provence & Maroc "